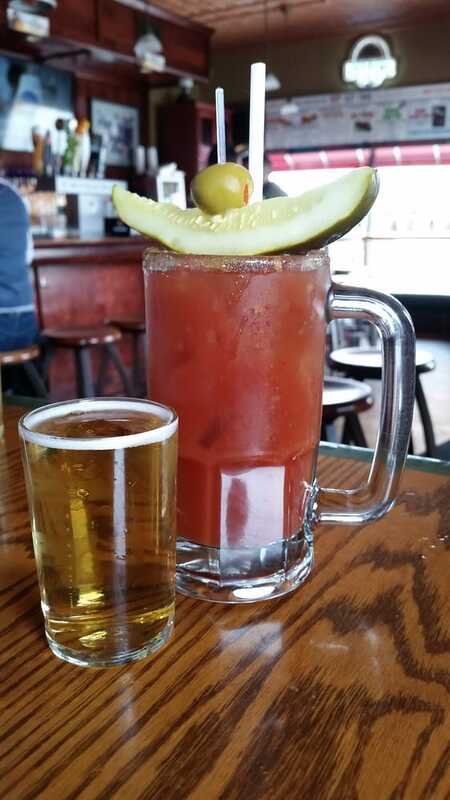 Milwaukee is known to take our drinking very seriously, and Bloody Mary’s are no exception. 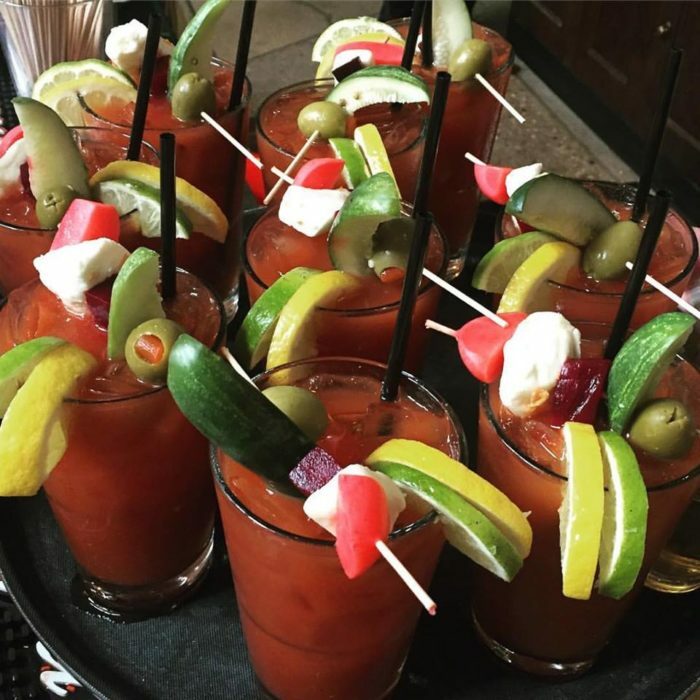 In Milwaukee, a Bloody Mary is not merely a drink… it’s a whole meal. Enjoy these nine restaurants that serve the best Bloody Marys around. 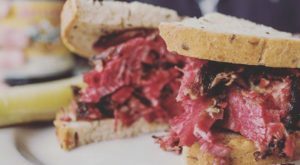 Sobelmans was recently featured on "Man vs. 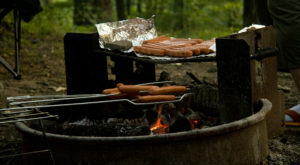 Food." 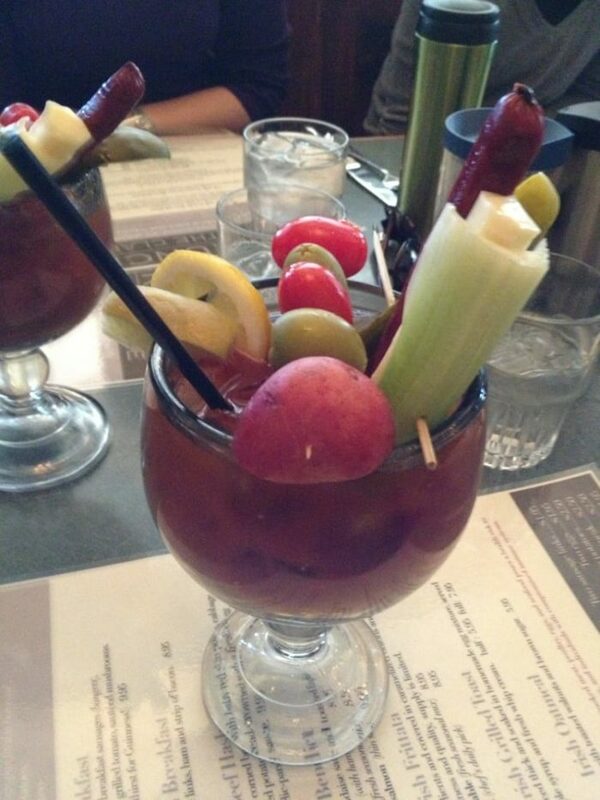 Their Bloody Mary is absolutely ridiculous, in the best way. 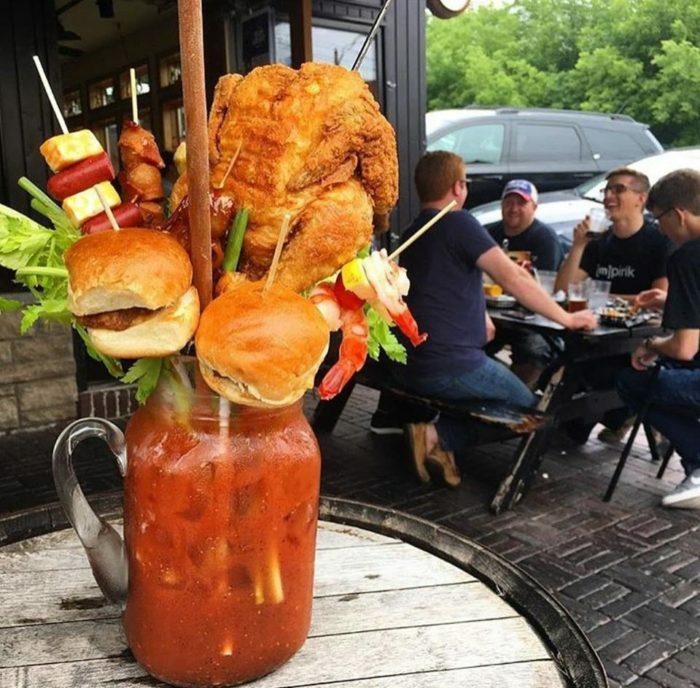 They have six types to choose from, but if you're willing to spend $50, you can get an entire meal: a bloody topped with cheeseburgers and a whole fried chicken. 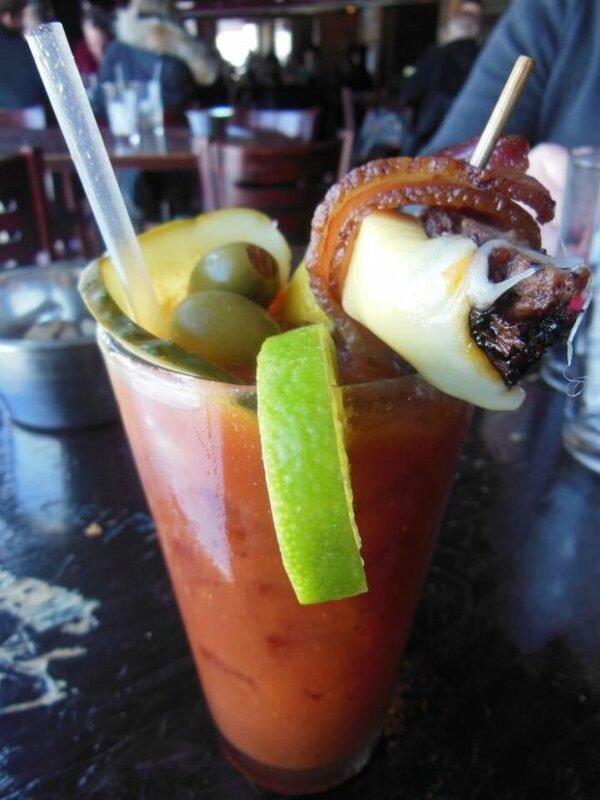 This is one bloody that will not leave you hungry. 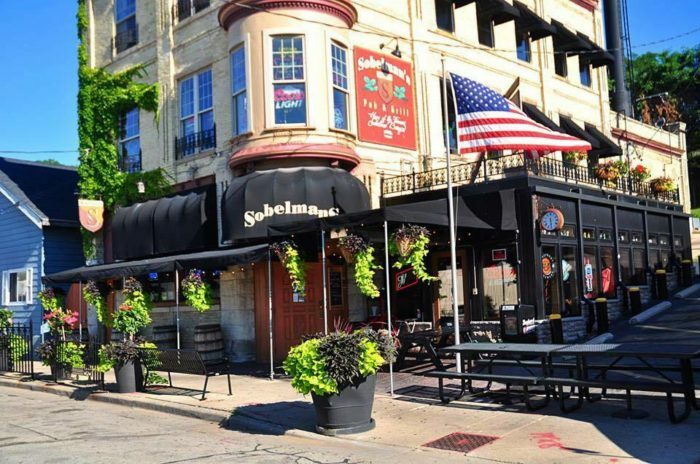 Sobelmans Pub & Grill is located at 1900 W St Paul Ave. and 1601 W Wells St. in Milwaukee. 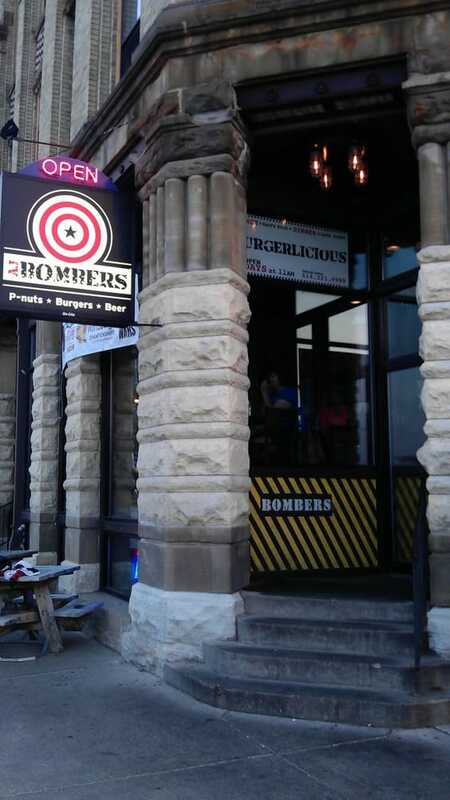 AJ Bomber's is known for their burgers, but their bloody is hard to beat. This is probably because their Bloody Bomber includes a burger wrapped in bacon! 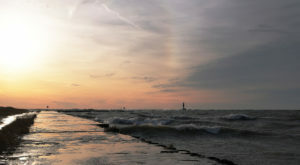 Enjoy with a shorty of Miller Lite. 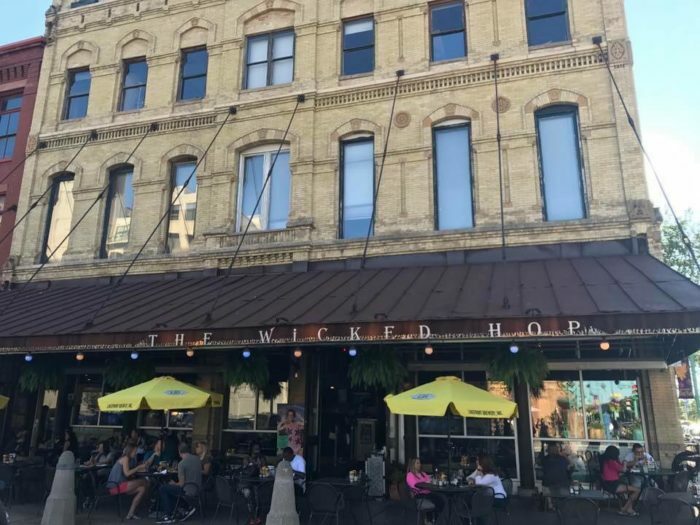 It's not a surprise that one of Milwaukee's best brunch spots serves one of the best bloodys. Served with a beef stick, pickle, and cool curly mozzarella—this is a solid Bloody Mary all around. 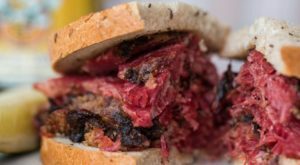 You can't go wrong with this classic, as Steny's has kept their homemade bloody recipe the same since 1985! The best part is that it's only $4 on the weekends, $5 regularly. You can't beat a deal like that. 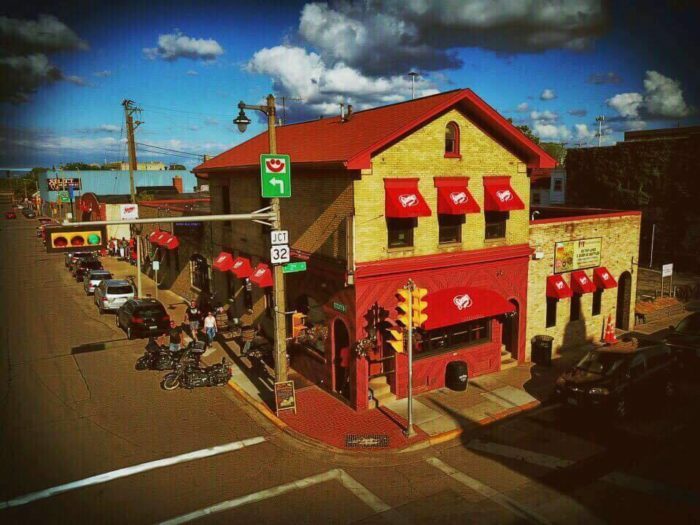 Steny's Tavern is located at 800 S. 2nd Street, Milwaukee. 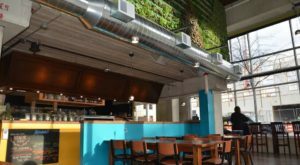 Grand Cafe Benelux is part of the Lowland Group owning Benelux, Hollander, and Centraal. 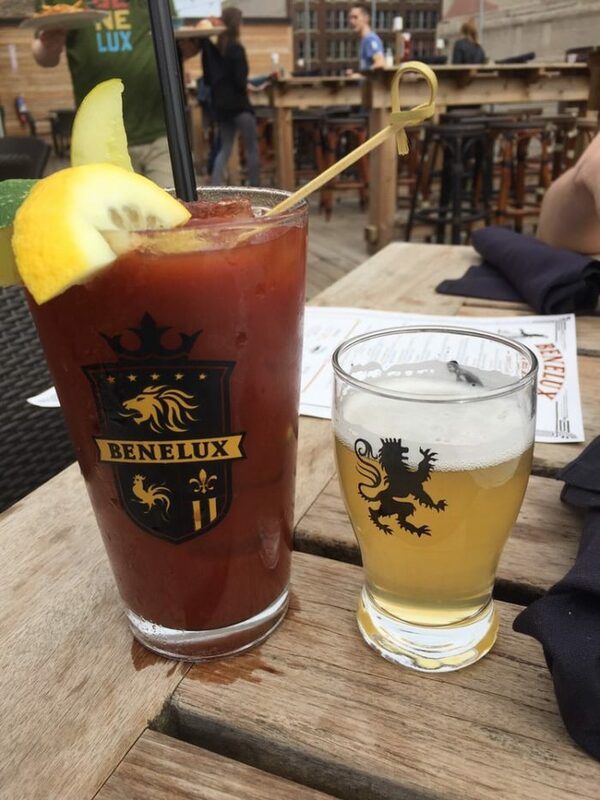 All of their locations make a solid Bloody Mary, and Cafe Benelux will give you the perfect environment to enjoy it on a patio and rooftop deck. Served with a chaser of your choice, you can't go wrong here. 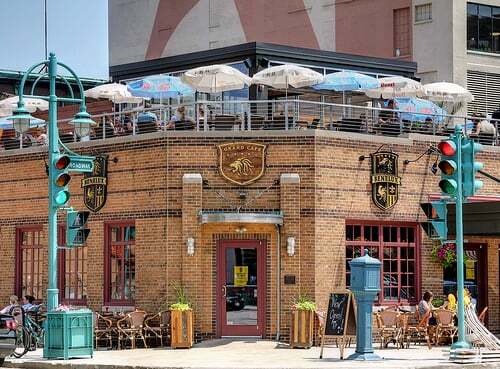 Grand Cafe Benelux is located at 346 N. Broadway, Milwaukee. 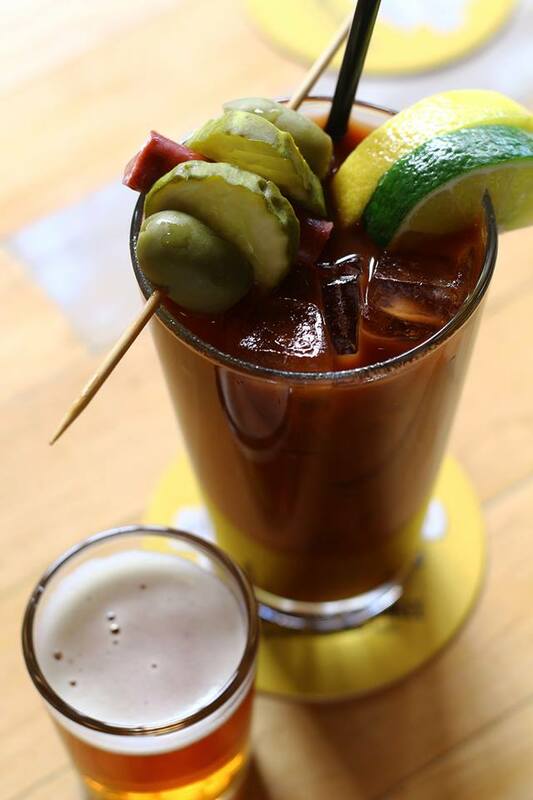 Served with an O’so Nitro Train Porter or Riverwest Stein, this is one solid Bloody Mary! They make their mix homemade, and it's very garlic-y (in the best way). A classic Bloody Mary for your Sunday Funday. 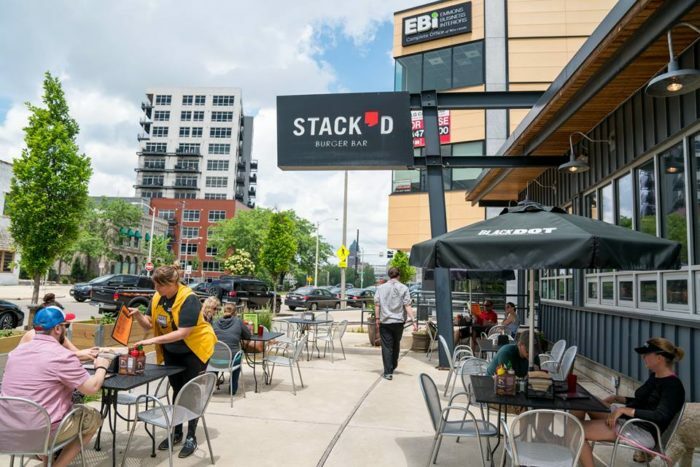 Stack'd is located at 170 S 1st Street, Milwaukee. 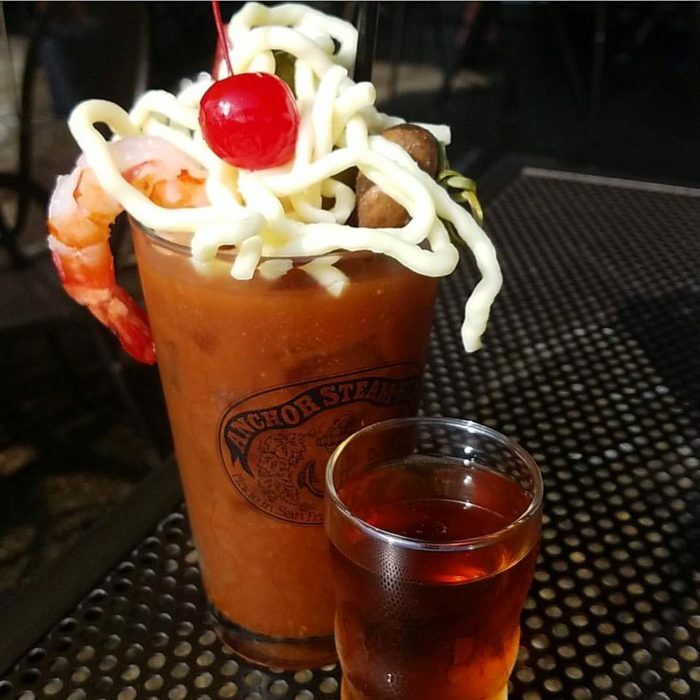 Honeypie Cafe in Bay View is pretty well-known for their homemade pies, but a lesser-known fact is that they make a mean Bloody Mary! Garnished with fresh cheese, and paired with a Rhinelander Ale, you're in for a good time all around. 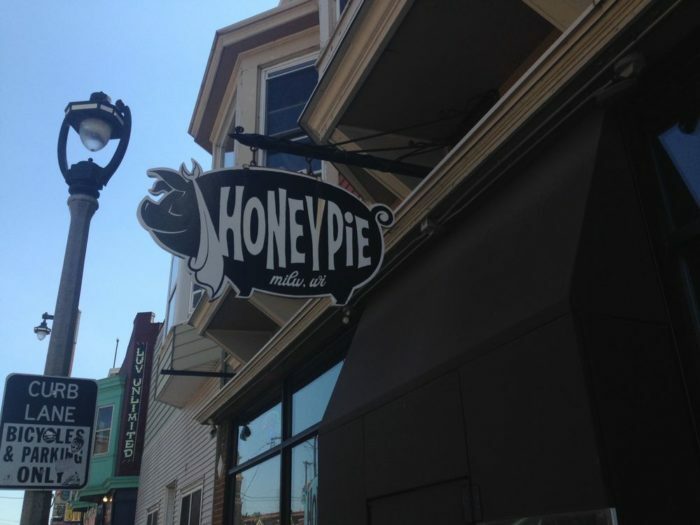 Honeypie Cafe is located at 2643 S Kinnickinnic Ave., Milwaukee. 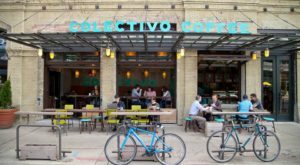 Unlike the original Fuel Cafe, the new location in Walker's Point has a full kitchen. Not only do they serve amazing food and drinks, everything is made in-house! This Bloody Mary is delicious, and the homemade pickle and cheese for garnish makes it that much more satisfying. 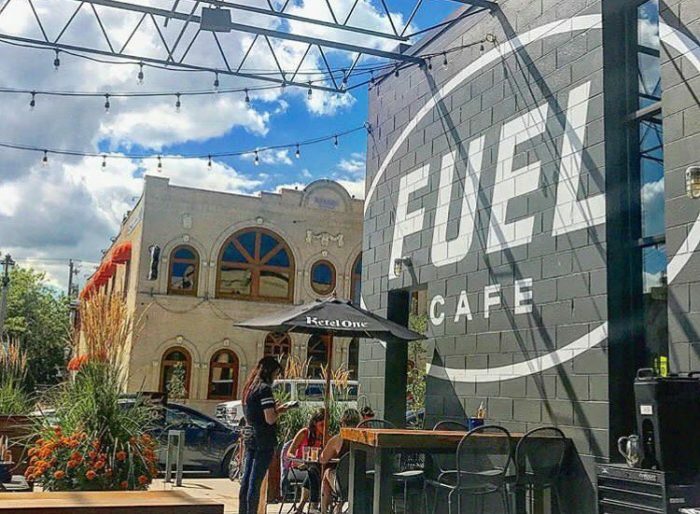 Fuel Cafe 5th is located at 630 S. 5th Street, Milwaukee. 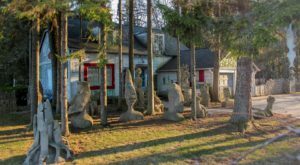 This Irish Inn offers all the Irish fare you could ask for, but they also serve a fantastic Bloody Mary. 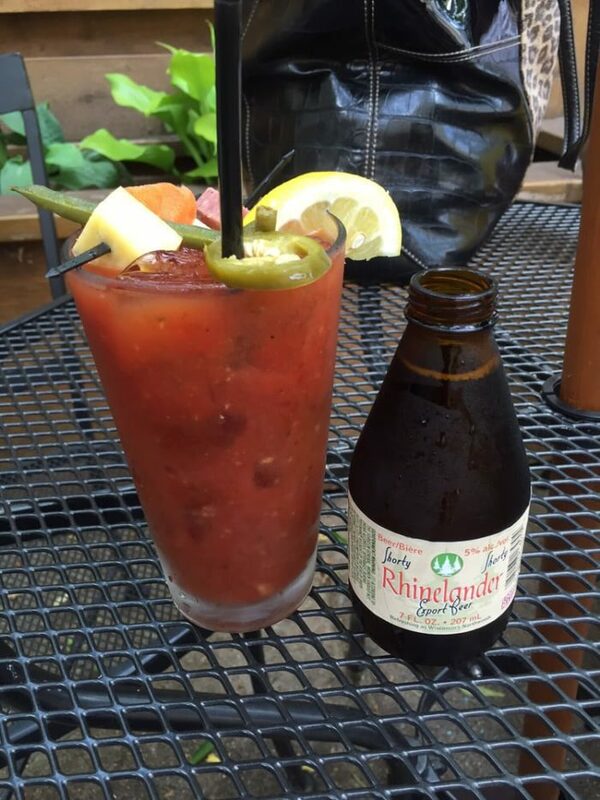 Served with their very own pickled potato, you can enjoy a bloody with a twist of Irish luck! 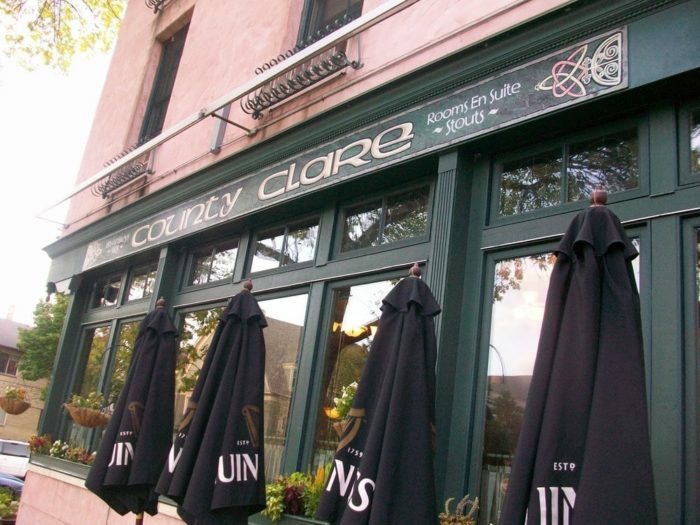 County Clare Irish Pub is located at 1234 N Astor Street, Milwaukee. Where do you enjoy your Bloody Marys? What’s your favorite chaser? Let us know below!